In this unique book, the authors, both only amateur Go players themselves, develop the mathematical techniques for solving late-stage endgame problems that can stump top-ranking professionals. 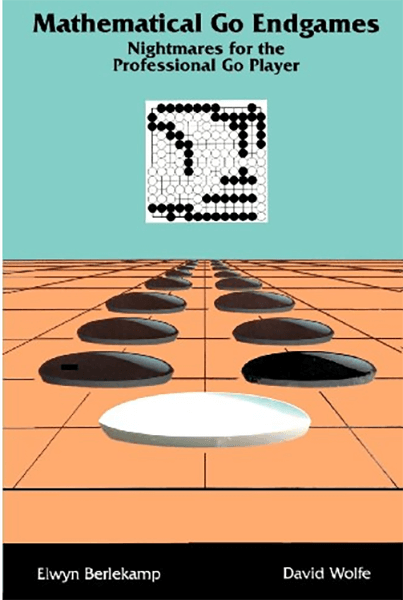 As a typical game of Go approaches its conclusion, the active regions of play become independent of one another, and the overall board position may be regarded as a sum of disconnected partial board positions. Combinatorial game theory, a branch of mathematics Berlekamp helped develop, has long been concerned with such sums of games. Here, it is applied to solving Go-related problems with a bewildering choice of similar-looking moves and subtle priority relationships. The theory presented in this book assigns each active area on the board an abstract value and then shows how to compare them to select the optimum move or add them up to determine the ideal outcome. Some of the values are familiar numbers or fractions, but most are more bizarre objects quite unlike anything in the existing Co literature. From these abstractions, the reader learns that positions seeming ro have the same numerical value can be crucially different while positions that appear completely different can be mathematically identical. A go player with an interest in mathematics or a mathematician interested in Go will not want to miss this book because it describes substantial connections between the two subjects which have been, until now, overlooked.